I've been preparing a presentation I'm going to give to our local public library. 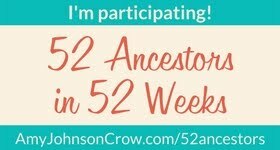 My talk is Genealogy Blogs 101. Next month I'll be giving this same talk to my genealogy society. I've been gathering information for weeks now. Been staying up late and even dreaming of it in my sleep. I'm not a professional speaker. I'm also really nervous. I'm as prepared as I'm ever going to be. It'll be good to step out of my comfort zone for just a little while. The feeling is a little like when I tried Zip Lining a few months ago. That very first step off the first platform into midair was frightening. But I did it, and the next four platforms weren't as scary. I can do the blog talk, I'll be OK. Just like stepping into midair. WHEEEEE! You can do it! You don't have to be a professional speaker. It's very easy to talk about the things you enjoy. Contact me if you want a copy of "The Big Genealogy Blog Book." It might give you some ideas and more things to talk about.